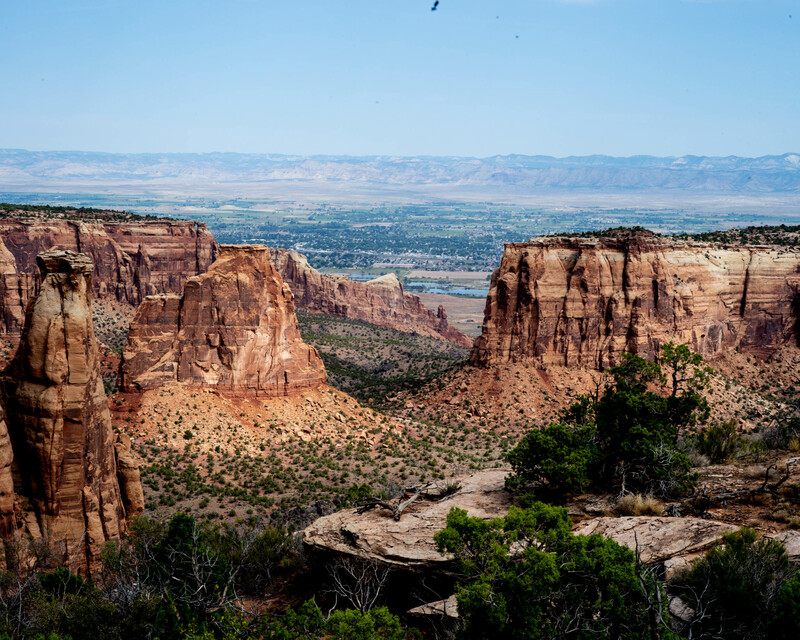 Colorado National Monument preserves one of the grand landscapes of the American West, but this treasure is much more than a monument. Towering monoliths exist within a vast plateau and canyon panorama. 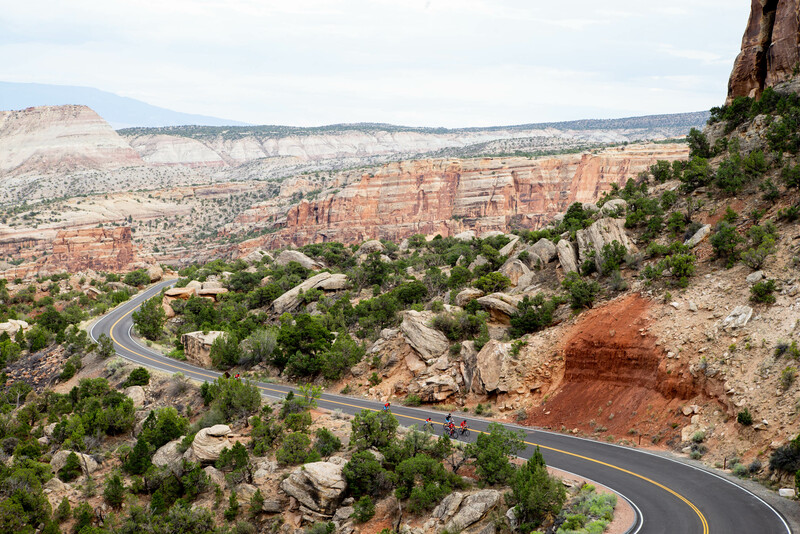 You can experience sheer-walled, red rock canyons along the twists and turns of Rim Rock Drive, where you may spy bighorn sheep and soaring eagles. The Colorado National Monument is open 24 hours a day, seven days a week. Winter hours 9 a.m. to 4:30 p.m.
For updates on storm or temporary closures call the Park hotline at (970) 858-3617 ext 402. The bookstore is operated by the Colorado National Monument Association. Saddlehorn Campground is open year round. 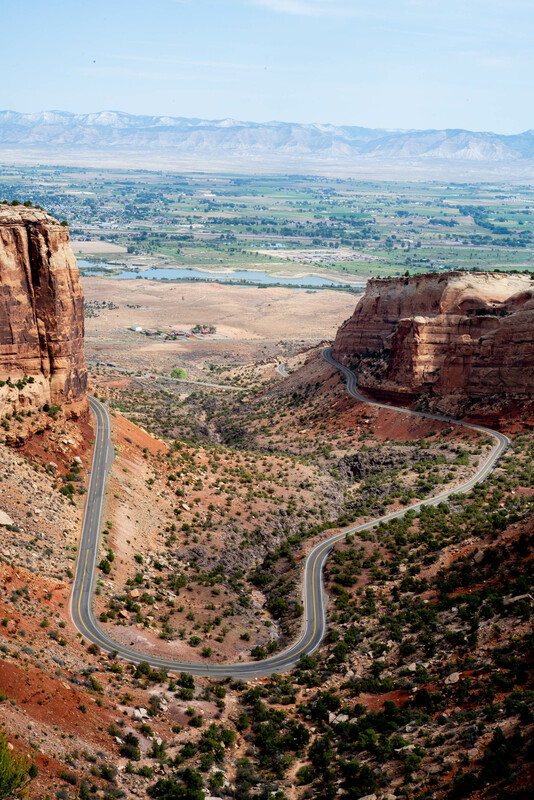 Colorado National Monument’s Rim Rock Drive is one of the most spectacular drives in the United States. 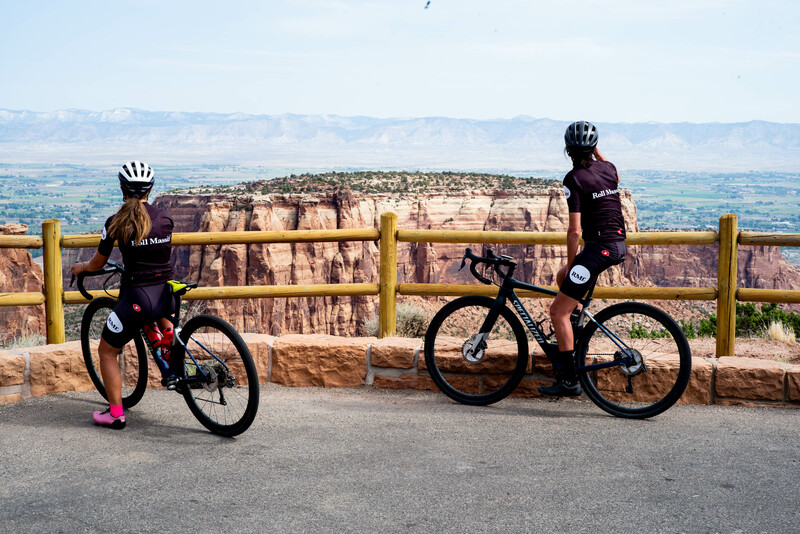 Redrock canyons, crisp blue skies and verdant green juniper, splash fantastic views along the way for motorists and bicyclists alike. However, the road is challenging, narrow and steep in some sections with sheer dropoffs. 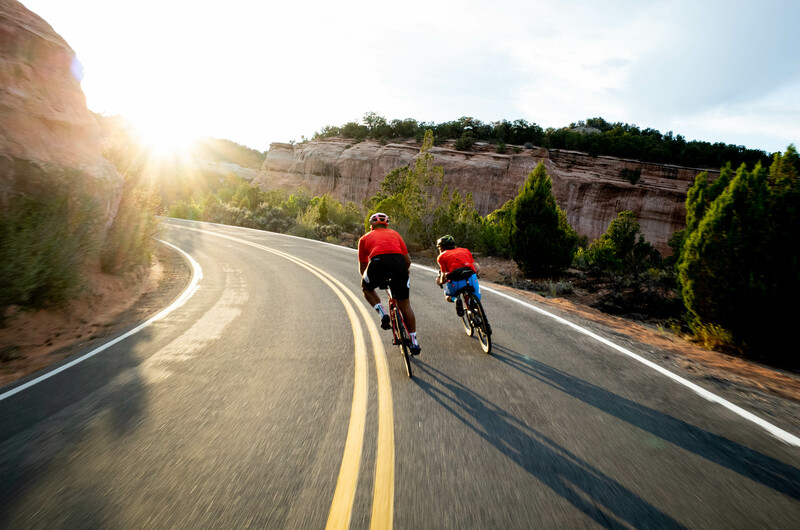 Special considerations must be made for road travel since motorists and bicyclists share the road. Use caution when on tight corners and hills. On the east side of the monument, motorists may encounter large trucks that use four miles of the monument’s roadway to access the community of Glade Park.